Your loyal, high-value customers are easy to identify using our Customer Lifecycle, which automatically segments all customers that have made three or more purchases into your Loyal Customers segment (note: your Loyal Customers segment can be configured to meet your own business definitions). If only more of your customers were like them, right? 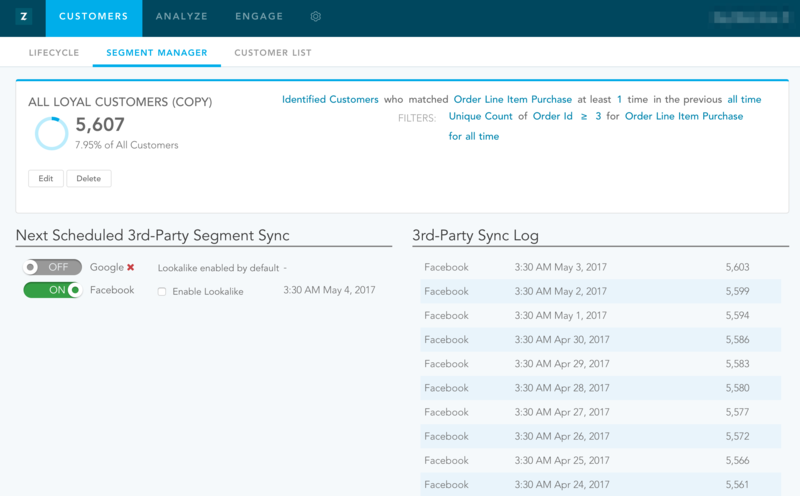 Well, using Zaius’s Segment Sync feature, you can focus new customer acquisition efforts on shoppers that have a lot in common with your most loyal customers, leading to higher ROI. Follow along the video below on how to set up integration with Facebook and Google. Once this is set up, Zaius will automatically sync/update any selected segments every day. The video will also walk you through some of the steps outlined below as well. You can define your high value customers as you see fit, or you can also clone the Zaius segment that is in your account by default. Create your segment or open an existing segment and you should then see the options for syncing. When you select a segment to open, you will land on the Segment summary description page, which provides you real time count of customers in a segment and the % of your total customer base, you will find two toggles labeled Google and Facebook. By turning on one or both of the toggles, you begin syncing the selected segment on a daily basis, starting immediately. If you want to turn it off, just come back to this page and turn the toggle to the "OFF" position. 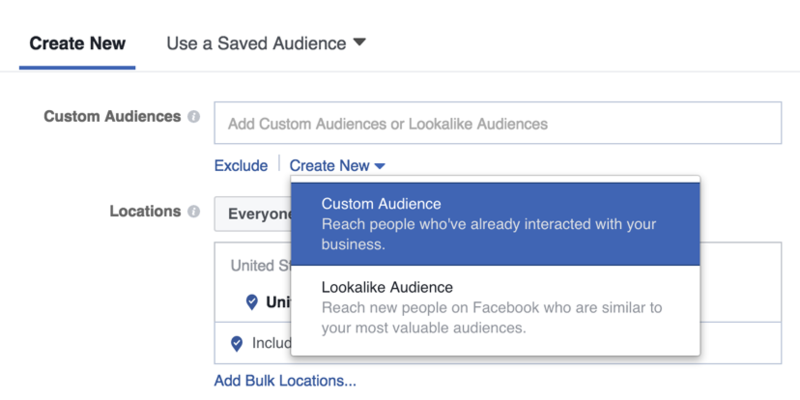 Once you toggle your Facebook segment sync to “ON”, you can select whether or not to enable Lookalike audiences. When you’re in the ads managers and you create a new ad, you’ll select either “Custom Audience” or “Lookalike Audience”. From here, you can type or search directly for the segment of interest in the “Source” field. Once Facebook matches your segment email addresses from Zaius, you’ll not only be able to target those customers on their Facebook newsfeed, but also automatically acquire new customers with similar interests, demographics, and behaviors to those within the segment. Once you toggle your Google segment sync to “ON” Zaius will send the segment email addresses over to your Google AdWords account. 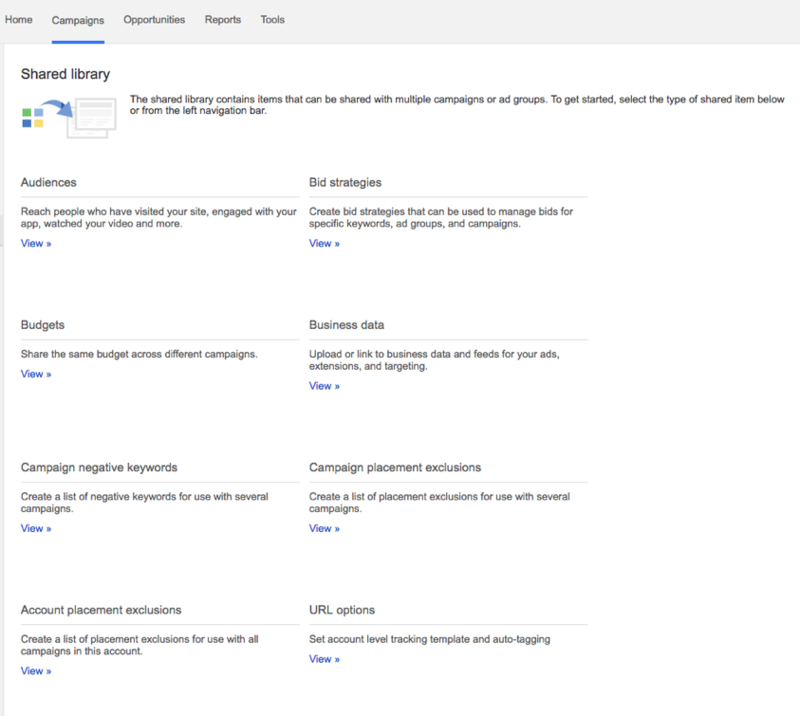 Once you head over to your AdWords account, you can access your Zaius segment just as you would access any other Interests & Remarketing list. Select “Shared Library”, then “Audiences”. Now, within any given search or display campaign, you’re able to add audience targeting to include your specific segment within a campaign. Similar to Facebook, Google allows you to target lookalike audiences so you can acquire more customers just like your most loyal. Google: Must have 1000 emails to upload segment. Facebook: Must have at least 20 individual email addresses for you to be able to target an audience. 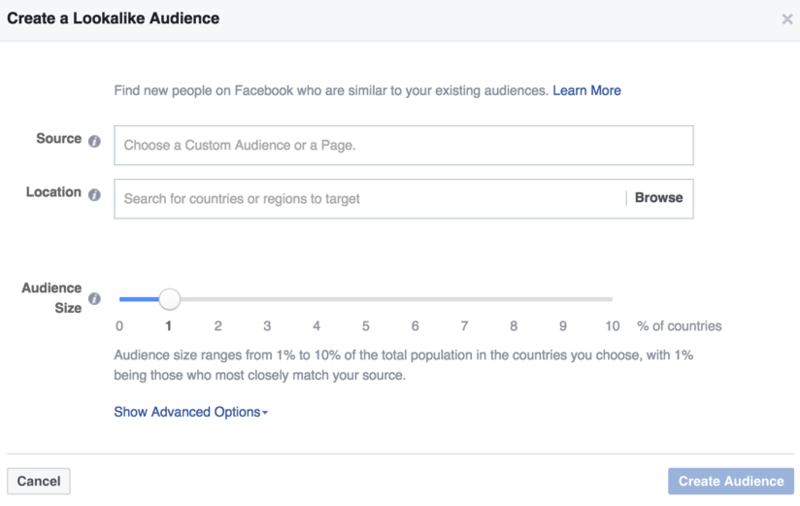 However, Facebook recommends having a larger audience size so that your cost per action and relevance score is higher. If your audience size is too small it will be difficult to deliver and optimize your ad properly.